Resume cover letter: The purpose of the cover letter, which is the first page of a resume packet, should amplify and emphasize the resume writer's strengths and how these strengths can meet and exceed the needs and expectations of the prospective employer. 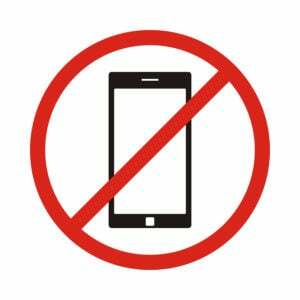 Universal symbols that communicate information: Community and public printed forms of communication that advise the public of certain conditions, situations and warnings that typically alert the public to some health or safety hazard. Universal symbols should be understood by every member of the public in order for these symbols to be effective in terms of avoiding an accident or a health condition. Like instructions and directions, we must be able to identify and comprehend information that is contained in printed or written communication in our daily personal life as well as in our daily work life and/or school life. For example, licensed drivers must be able to see, comprehend and utilize traffic signs, healthcare workers must be able to identify universally accepted symbols such as those that indicate the presence of or the potential presence of radiation and biohazardous material; others in the workplace should be able to comprehend and understand office communication tools such as a memorandum, and students and test takers, such as you are as you are preparing for your TEAS examination, must be able to comprehend and understand questions and their special instructions on TEAS examination in order to successfully pass it. Read more about business letters. Faxes, also referred to as facsimiles, are somewhat similar to memos, which are discussed immediately below. Both memos and faxes are typically shortened and condensed form of written communication when compared and contrasted to other forms of written communication such as a business letter. The difference between memos and faxes is that a fax and a fax cover sheet are electronically transmitted primarily to those external to and outside of the sender's organization or company and memos are sent with a hard copy to and from two persons, both of whom are both members of the same organization or company. Fax cover sheets are sent with faxes in order to insure that the facsimile gets to the correct person and/or office and/or department. Read more about fax cover letters. As stated immediately above, memorandums or memos are similar to faxes in terms of their typical concise and brief nature and they are different in that memos are typically sent internally within an organization or company via inter-office or inter-departmental mail, and faxes are typically sent to those external to the organization or company. Read more about business memos. Resume and cover letters are most often used for the purpose of gaining employment in a new company but they can also be used to get a different position and/or a transfer in the company that the person is currently employed. Read more about the formality of resumes and RN resume & job application advice. Read more about cover letters. E mails in the work environment are expected to be professional, business like, grammatically correct and without spelling errors. The purpose of e mails is communication with others in the workplace and external to the workplace, including those sent internationally. Read more about business setting email. Traffic and road public printed communication can include the printed word and symbols that we should also know, comprehend and follow when we are driving a car or you are a passenger in a car and assisting the driver with their navigation. Below are examples of traffic and road public printed communication. As you will see, many of these signs have both a written, printed message in addition to a graphic display of information to accommodate for those who are not literate and/or non English speaking. 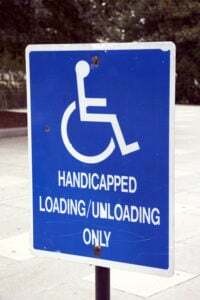 The above sign restricts the area to only loading and unloading handicapped persons only. 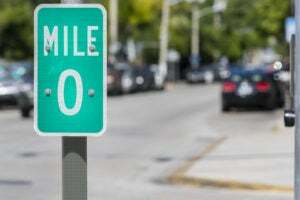 The above sign indicates that your position is at the 0 mile marker. 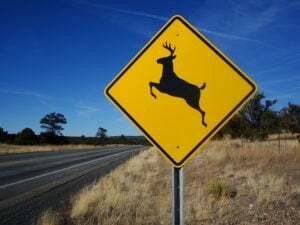 The above sign indicates the presence of deer so that you are able to slow down and look to avoid a serious accident. 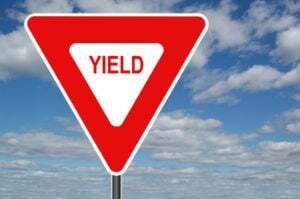 The above sign indicates that you have to yield the right of way to other drivers and to use caution. There are countless examples of this type of communications to be made aware of. Universal symbols that communicate information are used to communicate with the public. 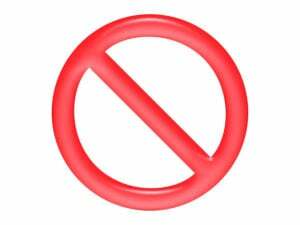 One of the most commonly used universal symbols is the prohibition sign as shown below. Again, countless examples you'll see including but not limited do not swim, smoke, light fires, litter, ride bikes, ride skateboards, touch. Newspaper articles are another form of written communication with the public. Unlike yesteryear, newspapers and newspaper articles can be read online in addition to newspapers in print form. For the purpose of this TEAS review, we will further discuss classified advertisements which you should be knowledgeable about; and, the other parts of a newspaper, as listed above, are self-explanatory. Classified advertisements are used for a number of purposes including the sale of goods and services as well as classified ads that announce job openings. If you are seeking employment you should carefully read these advertisements and scrupulously follow the instructions and directions contained in the ad that you are interested in. A failure to scrupulously follow the instructions and directions in the ad will most often lead to your not being considered for the job. Perhaps the salary or a statement such as "salary negotiable" or " salary based on experience"
If a resume or an application is requested, the reader of the classified ad must carefully read and comprehend the requirements for the job and the description of the job so that the application and/or resume that is submitted to the prospective employer must focus on and emphasize the applicants' knowledge, skills and abilities that meet or exceed these requirements.